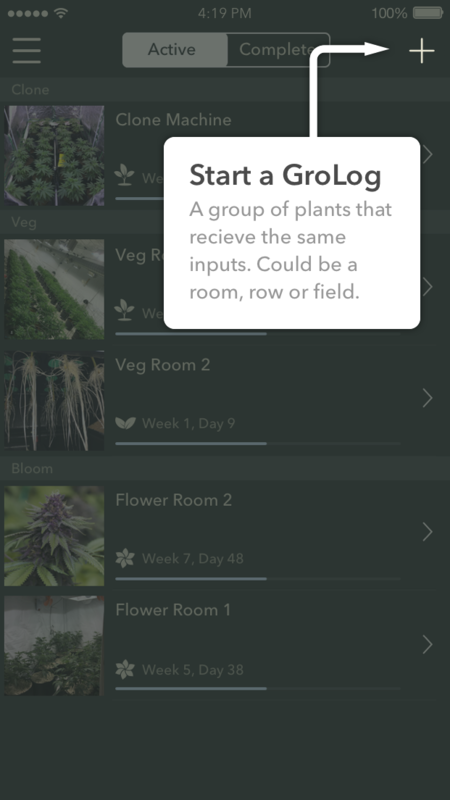 A GroLog is a grouping of plants that have the same environment and inputs. This might be a room, a field, or a section of a room with a single strain. It is flexible to use however you organize your garden. From the GroLog list the + button at the top right of the screen. 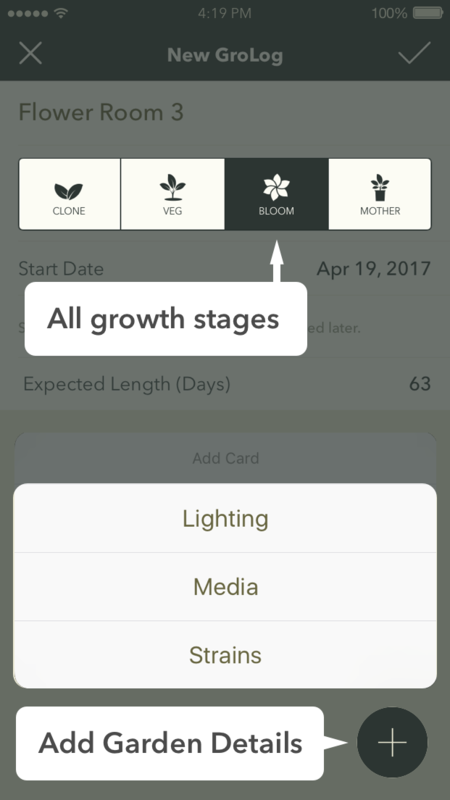 Choose your plant growth stage. Growth stage can not be changed later. Choose the Start Date and Expected Duration: Duration is just an estimate and may be changed later if your plants need more or less time before closing. 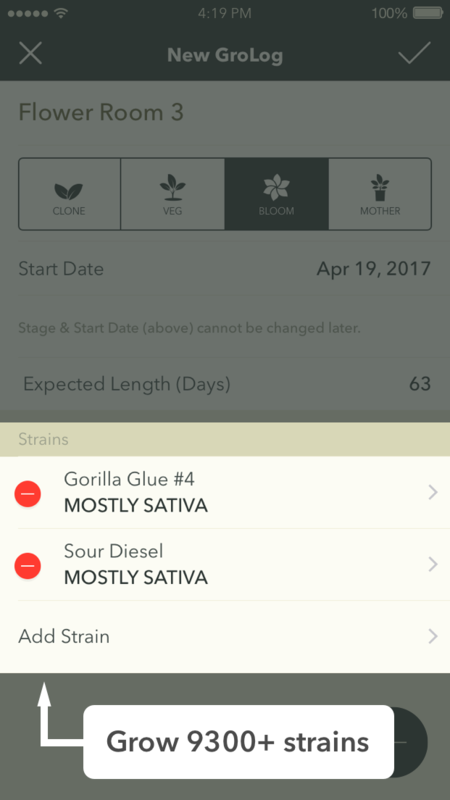 Add Strains: Click here to learn about adding strains to your GroLog. Tap the Save button at the top right to start your GroLog! 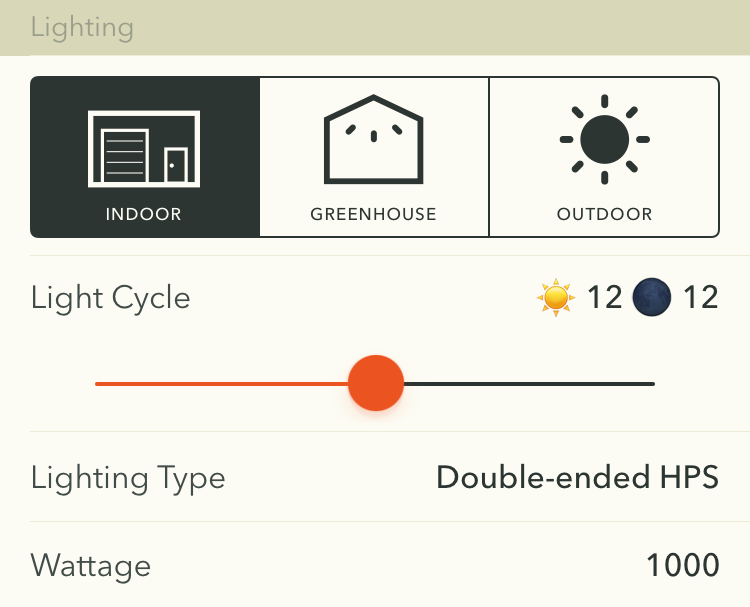 You can add other details about your garden like lighting and growing media. 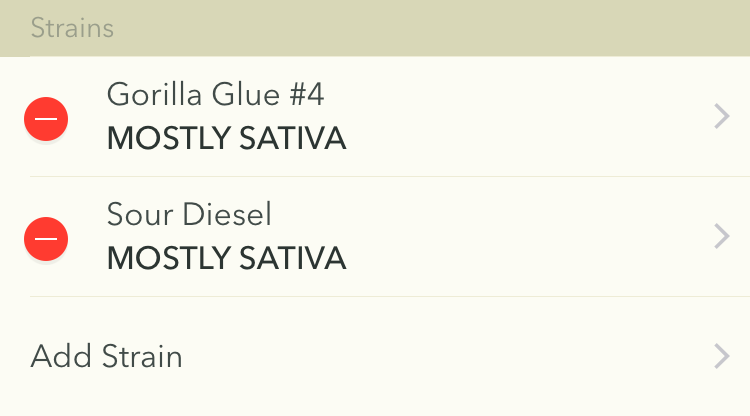 The strains you see on this screen are currently selected as part of your GroLog. Delete by tapping the red circle. Add more by tapping Add Strain and reading these instructions.